Elephant Plains is world-renowned for excellent game viewing and guests can enjoy two game drives and a bush walk per day. Facilities include two swimming pools, a spa, gym, conference centre, small library and games room. We also cater for small, intimate weddings. Elephant Plains Promise - "As an owner run lodge, we promise excellent service and facilities, as well as stylish comfort, making us a prime value-for-money destination in the Sabi Sand Game Reserve. 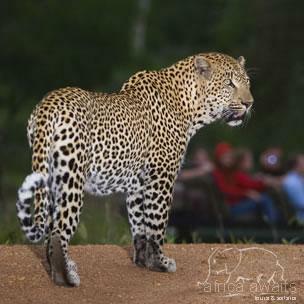 At Elephant Plains Game Lodge you can be sure of an experience that will live up to the Africa of your imagination, creating a lifetime of memories!" The property of Elephant Plains Game Lodge has been in the family since the early sixties, when it was used as a holiday camp for friends and family. Family and Community - Because Elephant Plains Game Lodge is still family owned and run, we pride ourselves on our excellent service and warm, friendly atmosphere. The staff works together as a team, combining different types of knowledge and expertise to create a product that is beneficial to everyone. This multicultural community provides the opportunity to learn from one another and we strive to continually raise the standards and services we offer. Most of our staff is from the local villages outside Gowrie Gate. We use local suppliers and services wherever possible, as this provides local businesses with a steady income. Environment and Conservation - Because our environment supports our livelihood, it is our responsibility to ensure that our presence here is as unobtrusive as possible to our surrounding ecosystems. We believe there is a fine balance between the commercial profit through tourism and the toll taken on the wildlife and habitats. We have a conscientious land management program which endeavours to maintain a naturally diverse ecosystem and minimize the impact of man's activities on the environment. This program involves the regeneration of erosion sites, maintaining existing roads and the removal of alien plant species. Our biggest contribution to conservation is through education: we see our guests as ambassadors for conservation and for South Africa. This stunning country can not help but make an impact on guests. If during their stay with us we can expand their knowledge and experiences, then we have achieved our goal. The lessons they have learned about conservation and the beautiful sightings will remain with them and will be passed onto others through their reminiscences. Rondawels - The five rondavels are set in the beautifully landscaped garden of the original family holiday camp and one can still feel the old bushveld charm upon entering. The rondavels have sundecks, en-suite bathrooms, air conditioning, overhead fans, mini bars, tea/coffee facilities, mosquito nets and electronic safes. Luxury rooms - The natural design and architecture of these six glass-fronted suites fall softly on the eye. Decorated in warm, earthy tones, they blend in superbly with their natural surroundings. All luxury chalets feature air-conditioning, overhead fans, fireplaces, mini bars, tea/coffee facilities, mosquito nets and electronic safes. 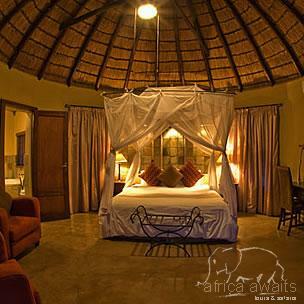 Honeymoon suite - The Manyeleti honeymoon suite provides for romantic elegance and the setting ensures privacy with a stunning view. This glass fronted suite has all the regular luxuries and also boasts a private splash pool and sala, ideal for a mid-morning nap. 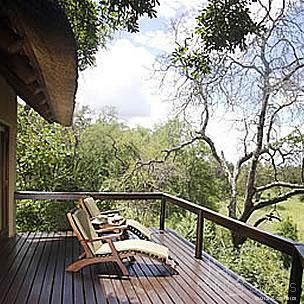 With your holiday, safari or business trip from in to Elephant Plains Game Lodge in Kruger National Park.